When it comes to advancements in the IT sector, it’s irrefutable that there’s one brand that has always spearheaded the agenda of constant development, which is IBM. The company has consistently looked at innovative ways of combating challengers which enable the IT sector from growing to it’s fullest potential. In another one of such attempts from IBM, it had recently held the IBM developer day conference covering topics related to Open-source, Cloud computing, Artificial Intelligence, Machine Learning, Blockchain, Analytics, etc. Developer day is an initiative by IBM to recognise open source talents in India. The event commenced with an opening note from IBM CEO Ginni Rometty and followed by a keynote session by VP of Research AI at IBM - Sriram Raghavan. The event also saw seasoned tech experts and young talents conducting more than 20 sessions on Blockchain, AI, Open Source, Cloud Computing, etc in a day long event held in Bangalore on 14th March 2019. The event was attended by the best minds from the tech community, students, entrepreneurs and bloggers. The event was followed by a round table discussion with bloggers, which I was a part of. IBM is not merely a company that speaks idealistically on being a developer friendly community but it has backed it’s claims with actions. It’s been promoting coding friendly activities for well over a decade, helping the open source community with it’s resources. Furthermore, the acquisitions of Hybrid Cloud Solutions and RedHat only further substantiates the vision of the company, which is to work towards a more stronger based coder’s network. IBM Developers Day initiative by the company is another strong step towards the vision of helping coder’s improve their proficiency and get noticed for it. It is a long one-day event which was recently conducted in India, it enables the developers to learn various facets of coding, with latest open source technologies - ranging from Artificial Intelligence, Cloud, Blockchain, Quantum, Data & Analytics. You can watch the recording of the opening note below. The open source network in India desires much appreciation for the work that it has put in over the last many years. It’s precisely initiatives like this from IBM which will allow the community to come much into the limelight. Bob Lord, Senior VP at IBM echoed this sentiment when he said that “through their creativity and skill, developers and data scientists are making a difference to the society”. If you are a developer, you can signup as a coder here. “There’s a very big fundamental principle that’s happening in development right now around open source; open source has always been very targeted towards the startup world and the development community at large. But now it’s making its way into the enterprise. 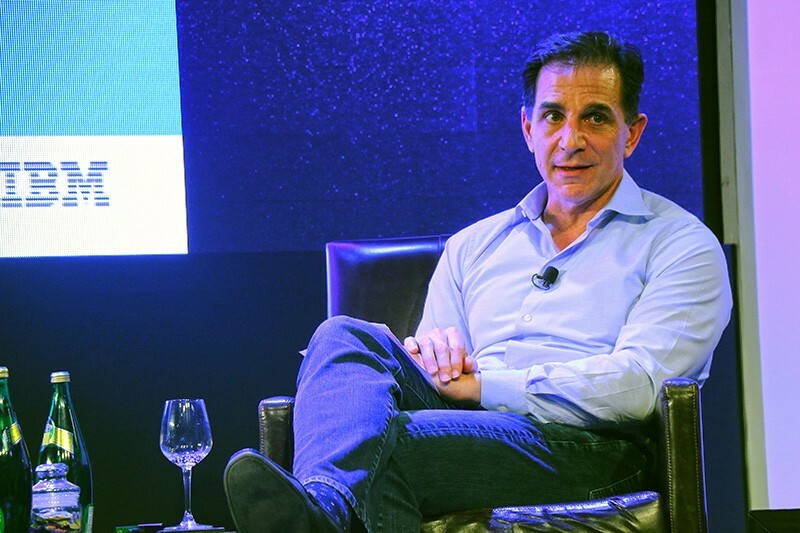 And enterprises are realising that open source can lead to great innovation, not only for the open source platform itself, but also for the enterprises,” says Bob Lord. At the round table discussion with Johanna Koester - Director, Worldwide Developer Advocacy at IBM, she answered several questions from bloggers on IBM ecosystem, Hybrid Cloud, Red Hat acquitsition and more. Call for Code 2019 is an initiative which IBM has undertaken in partnership with UN, David Clark Cause and the Linux foundation, the call for code programme will use AI, Blockchain, Cloud & Data for natural relief. The Call for Code global reach-out programme is a one of it’s kind module which motivates coders to come forward and use AI, Blockchain, Cloud & Data to create solutions that will directly have an impact on humanitarian issues, pertaining to natural relief. It’s a never heard before step but so relevant in today’s times. It makes perfect sense to use technology in order to more effectively fight the problems around us. It’s therefore initiatives such as this from IBM that re-instill the faith in technology as a saviour of humanity. IBM has explicitly mentioned how it is looking to take this program into universities to hunt out for students that have the desire and passion for coding. This project essentially asks developers to create action plans, so if and when a natural strike happens, people are more prepared for it. The challenge this year in Call for Code programme is in regards to reducing risk of diseases in order to ensure community well-being, address the mental health of people that have suffered through a natural disaster, access to data and availability of resources to people. Lastly, the IBM India Developers Day announced a programme that truly befits the current state of India, wherein we definitely need to motivate more female coders to come forward. IBM has announced a Girls Of Code programme, wherein 50,000 top female students will be provided with unique opportunity to take participation in coding challenges and code and response hackathons.